Apart from the unique front-end design, 4Runner Limited comes with refined accents like chrome door handles and a chrome-accented front grille that give it a personality of its own. Introducing the new 4Runner TRD Off-Road and the TRD Off-Road Premium ‐ two tough SUVs to help you rule your favorite trails. This SUV stands apart with unique features like 17-in. 7-spoke alloy wheels with black-painted accents and stylish new badging. The inside is just as awesome with its TRD shift knob, TRD Off-Road floor mats and available TRD headrest lettering. 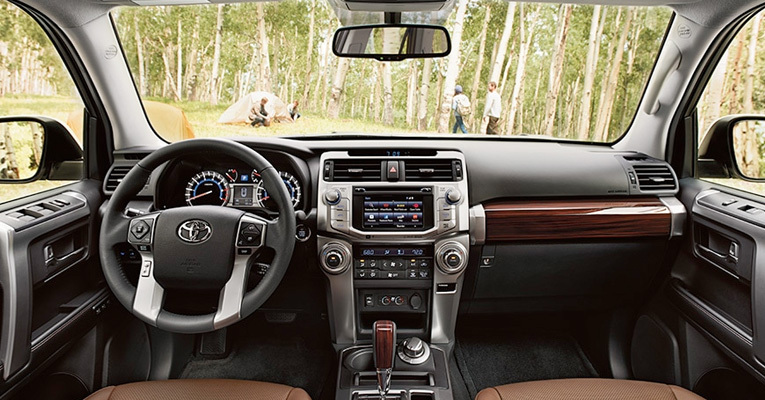 4Runner's instrument panel shape is tailored to accommodate high-end technology, such as the 6.1-in. high-resolution touch-screen display, standard on all models. Also standard is Optitron instrumentation, which makes the gauges easy to see, day or night. It may look tough outside, but inside it feels exceptionally refined. That's because we have used premium materials like SofTex on the SR5 Premium and the TRD Off-Road Premium grades, and perforated leather on the Limited. It's the perfectly blend of ruggedness and comfort. 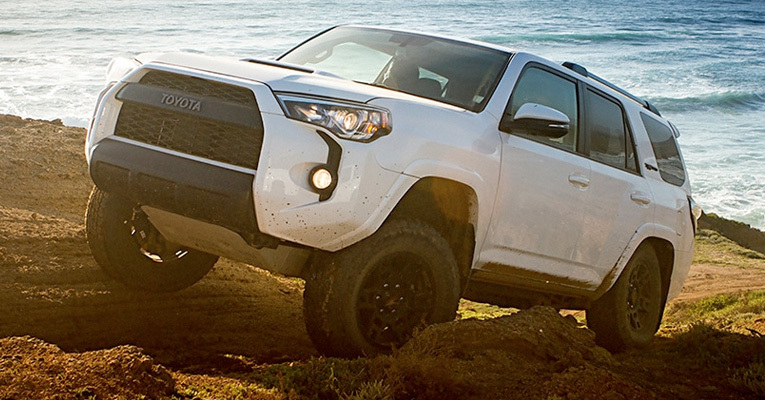 4Runner TRD Pro is ready to take your adventures to the next level. Its suspension ‐ featuring oversize TRD Bilstein high-performance shocks with rear remove reservoirs and TTRD-tuned springs ‐ helps carry you over unforgiving terrain. And with a ¼-in. 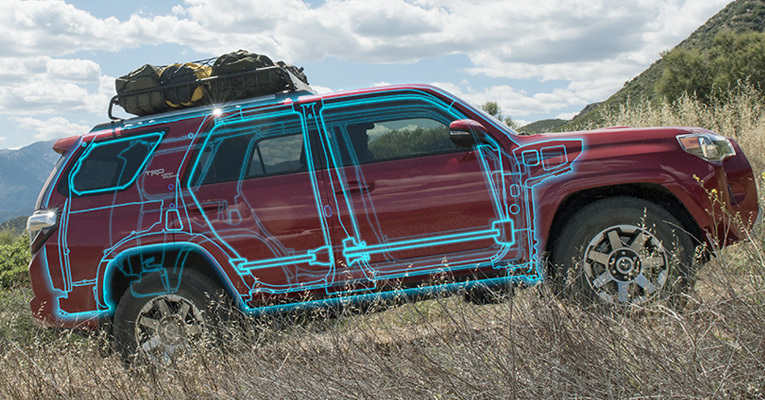 aluminum skid plate designed to protect things up front, this rugged body-on-frame SUV fears no trail. For over 30 years, 4Runner has fueled your need for adventure, tamed wild terrain all across the globe and cemented its status as an off-road icon. 4Runner TRD Pro takes this legendary toughness and amplifies it to a whole new level with beefier tires, a heavy-duty suspension and an aggressive design. Here's to another 30 years of exploring. Let's get dirty! 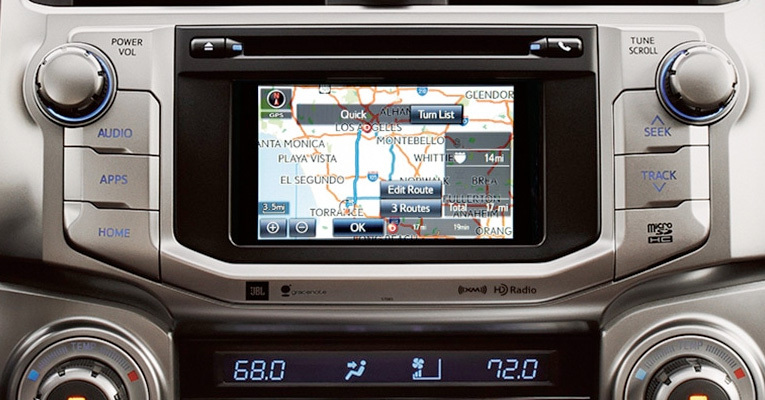 Integrated Navigation gives you turn-by-turn directions, HD Radio Technology Predictive Traffic and Doppler Weather overlay ‐ all straight from the 6.1-in. high-resolution touch screen display. Bluetooth wireless technology gives you hands-free phone capability, phone book access advanced voice recognition and music streaming, so you have access to your phone without even glancing at it. To help provide extra occupant protection if the vehicle is struck from the side, impact beams are located inside all doors, and are designed to absorb energy and help reduce the change of intrusion into the cabin. Proper tire pressure is important not only for good handling and fuel economy, but also for your safety. 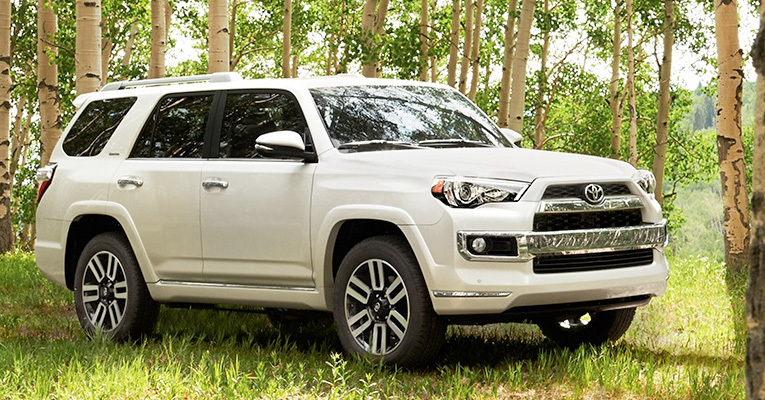 4Runner's standard Tire Pressure Monitor System (TPMS) evaluates the pressure of the tires and issues a warning if the pressure becomes critically low.